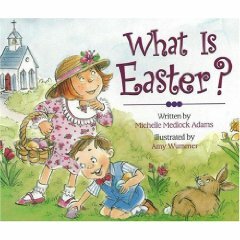 I found this great book at Wal*Mart called, “What is Easter?” It goes through all these fun things about the Easter season (candy, bunnies, chicks, egg hunts) and asks if that’s what Easter is all about. 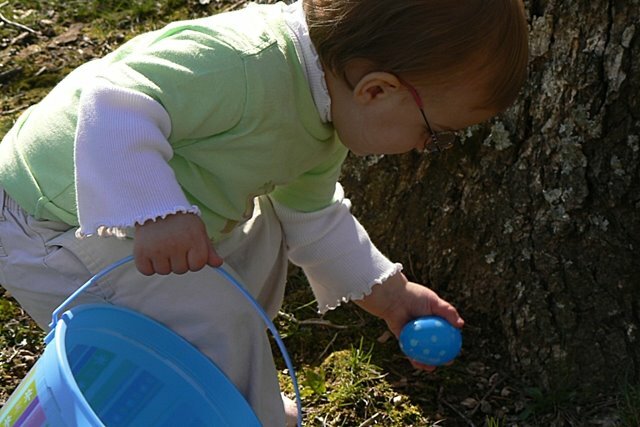 The resounding no precedes the explanation of the Gospel and then the book ends with (my paraphrase) the fact that there are eggs hunts and candy and dressing up is fun, but that’s not what Easter is about. “It’s about God’s Son”. There you go. We read this every night leading up to Easter weekend. It was a great part of our prep. 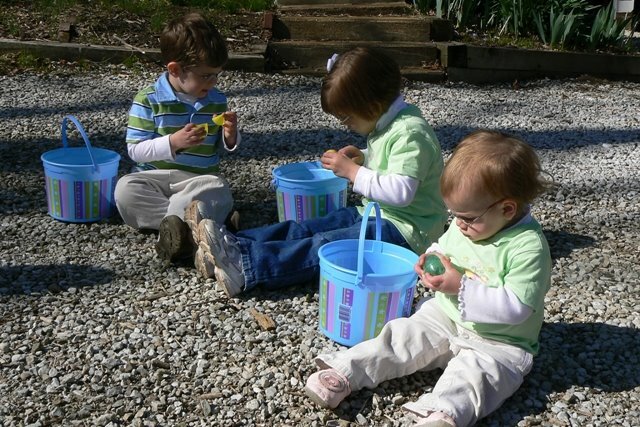 So, Saturday started out with BIG plans to drive to St. Peters for a HUGE egg hunt at the ball park. Two fields were going to be designated for special needs kids and I was thrilled about taking Bubba and Little. We drove the 20+ minutes to find all the parking lots full and the line of people waiting to get it went through the parking lot and down the street for several blocks. 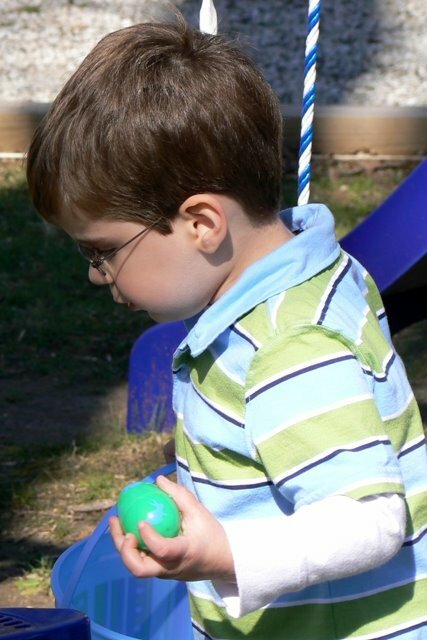 We circled and went to another egg hunt. This one was more exclusive. There was an area for special needs kids and the security was great so I wasn’t worried about anyone walking off with Little. Yep, this one was held in our side yard. This was the first year all of our kids “got it”. 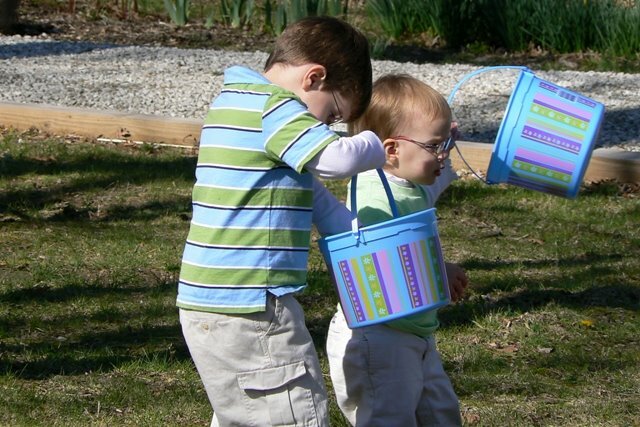 It was so fun to watch them tear off to find the eggs. 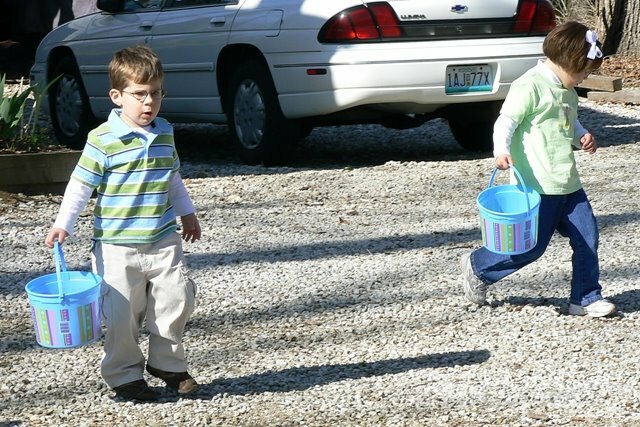 You could sense a level of competition in the way they ran for the eggs. 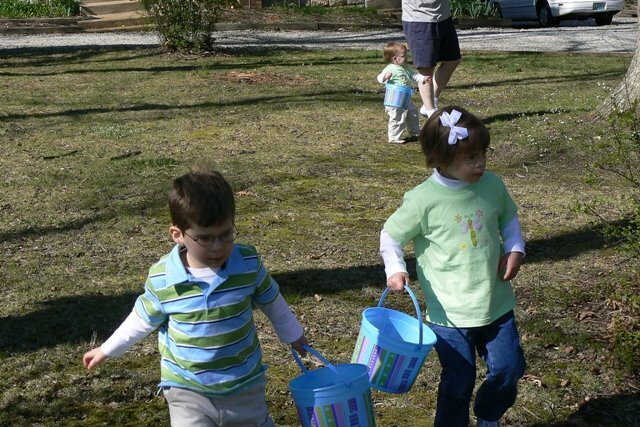 There was also a sense of camaraderie as they picked up the eggs and offered them to each other to make sure everyone had eggs in their baskets. SO FUN! Love the coordinating outfits in these photos, too. Perfect for all those pictures :). 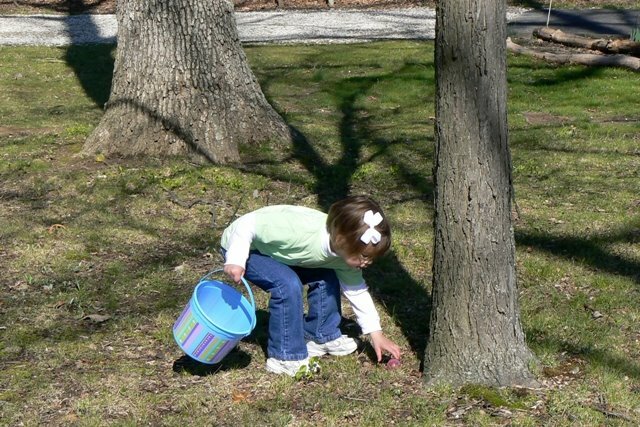 Glad you found a great alternative to the giant Easter egg hunt. I am sure they had just as much fun. How sweet for them to share their eggs–I don’t know that my girls have EVER done that! We forgot about our church Easter egg hunt this year, so we are a little low on our “candy bag” stash for the next few months.